This set of Advanced Civilization Trade cards is designed for the 18 player Expansion game with East and West sets of 5 commodities. This set of Advancement cards are designed for the Dawn of History or the Expansion game for 18 players. 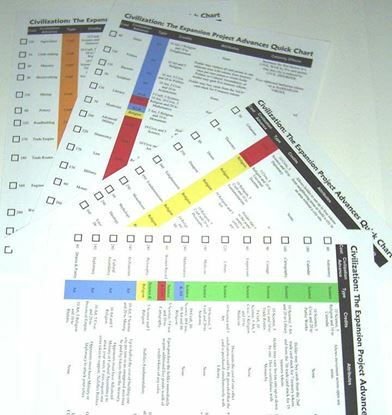 Two laminated charts with Advancements on both sides, that you can check off as you purchase them. 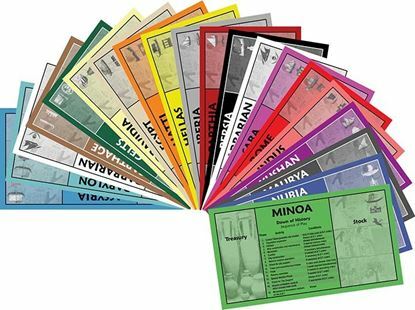 Set of 20 player mats that can be used for any of the Civilization games. 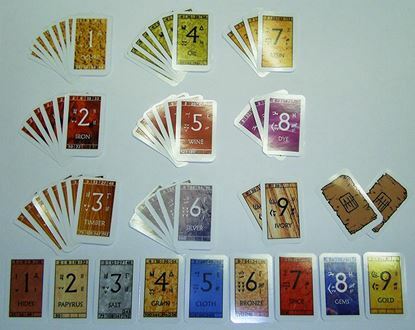 This set of Civilization Trade cards matches the cards released with the original game, with a spare of each type. Calamities are in full color now. This set of Civilization Trade cards were variants to the Original game. The Advanced Civilization Trade Cards replace these. 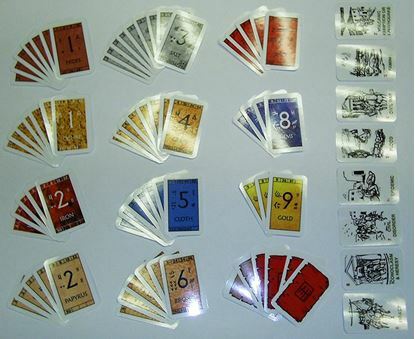 The cards from the original game are still required to play. 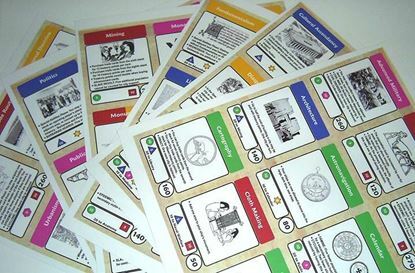 This set of Civilization Trade cards can be used with either the Original or Advanced game. It contains a new commodity for each card stack.